During next cycle -- and only during next cycle -- you may remove up to 10 losses from your wrestler's record! Each loss will cost him $10,000 of his imaginary money, so be sure he has enough to pay for it. Neatly print the following on a piece of paper: "Drop 10 losses from my wrestler, ID #123." Choose any number of losses, up to 10, and change 123 to your wrestler's ID number. Separate the request from your trash talk by skipping some space. You may subtract losses from as many of your wrestlers as you wish. Include this paper with your league matches. Take advantage of this exciting opportunity while it lasts! Eric Lindsay of Pennsylvania is retiring four of his ASL grapplers this cycle! LOD: Brick Bonecrusher (1,057-487-90, $4,158,600 *43), LOD: Rock Bonecrusher (1,043-443-85, $3,828,500 *38), ACE: New Breed Destroyer (1,534-611-131, $4,652,700 *48), and ACE: New Breed Enforcer (1,506-596-138, $4,801,700 *33) will enter our Hall of Fame after long, successful careers that nearly any professional athlete would envy. Eric will receive four engraved plaques to mark this occasion. Well done! After conquering the Gold Federation with his 500-point strategy, Æ: Da Masked Outlaw (TDL) set his sights on the World Heavyweight title and won it for manager Anthony Rodriguez of Alabama! Anthony can choose either 100 free matches or a real wrestling belt and 50 free matches as his prize. Chad LaBombard of Michigan armed Æ: Tony "Two Times" Fioli (MPL) with a 500-pointer, then watched as his man overcame all other league TV champions to gain this $60,000 purse! Chad will receive his choice of an engraved plaque or 25 free matches. Anthony Rodriguez of Alabama nearly had two of his wrestlers share this title, just like last time! This time around, previous winner Æ: Gravedigger (XWL) was able to score the same 275-point KOTR total as Æ: Da Masked Outlaw (TDL), but couldn't match his stablemate's 500-pointer. (We determined the King of the Ring totals by adding up the values of the holds at positions 1, 4, 5, 8, 10, 11, 12, and 15 in each league battle royal winner's strategy.) Anthony will receive a second straight award of an engraved plaque or 25 free matches! The hold positions which were used to find the league battle royal winners were 1, 2, 3, 6, 7, 9, 13, and 14. CAST: Assassin Beast Ghostface (ASL) had to edge out CTI: Cage Match God (CLL) to claim this $25,000 payday. His manager, Maurice Plante of Canada, wins 10 free matches for providing his 499-point strategy! Steve Bradshaw of Florida picked up these 10 free matches when his wrestler, Dr. Death Steve Williamson (NDL), used his 499 total to outmuscle our other Asiatic league champions! Steve (the one who doesn't exist) was awarded $25,000 (which also doesn't exist). Our reigning World Heavyweight Champion claimed this title, just like last time! 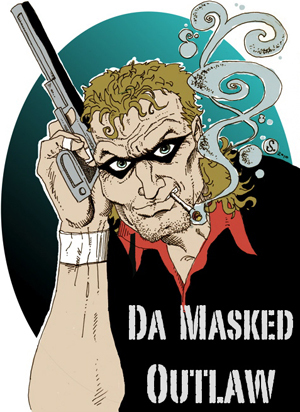 Æ: Da Masked Outlaw (TDL) won this $25,000 prize for Anthony Rodriguez of Alabama, who earned an extra 10 free matches. Metropolitan Champion CAST: Adrenaline (GRL) also had a 500 total, but lost by point flow. With the aid of his 500-point strategy, CAST: Adrenaline was able to keep this title in his stable's trophy case a little longer. That makes it the third cycle in a row that the GRL was home to this champion! Because of this, manager Keith A. Maple of Ohio wins twenty free matches. Nice job, Keith! Matt Fugate of Ohio celebrated the UEL's final cycle as a rookie league by taking this $25,000 belt! Rich Von Bruiser left all comers "Black and Bruised" on his way to claiming the 10 free matches for his manager. His strategy was worth 499 points. Mike Dorsett of New York pocketed fifty free matches by securing both the Iron and Diamond Federation titles! He won them with PSY stablemates Agamemnon (IML) and the Vampire Lord Kal Zakath (DDL), respectively. Kal's strategy total was 499 points. The $40,000 Steel Federation purse went to CAST: Jake "The Milkman" Milliman (MRL)! Steven M. Shotliff of Minnesota guided him to point flow victory over fellow CAST-mate Puppetmaster Michael Eaves (ZPL). Each had a 500-pointer. Da Masked Outlaw made a stop at the Gold Federation title match before ending up victorious in his quest for the World Heavyweight belt. He had to edge CAST members Black Thunder Tom Flash (BRL) and Pai-Mei "The High Priest" (CWL), along with stablemate Æ: Ricky "the Glove" (MPL), since each had 500 points. CAST: Adrenaline (GRL) added the Bronze accolade to manager Keith A. Maple of Ohio's winnings last time! He also had a 500 total. Æ: Blackhawk (JRL) used his 499-point strategy to pick up the Jade Federation strap for Chad LaBombard of Michigan. CAST: Malicious Mandy Manchester (MDL) decided to trade in her National title for the Ladies' World Championship, and she was able to pull it off because of the perfect 501-pointer provided by Joseph Schaffer of New York! He wins either a plaque or 15 free matches. Joseph also won the Ladies' U.S. title, thanks to CAST: Dogface Debbie Dorchester and her 500-point total, then he teamed Mandy and Debbie with stablemate Toothless Theresa and watched them bring home the World Six-woman belts! That left Chad LaBombard of Michigan focusing on the tag straps for a change. He won them with Æ: Drunk Debbie and Tipsy Tammy Stevens (VVL). CAST: Katy Perry and Heavenly Body Heather Nova (LLL) lost by point flow, but Katy found her second wind and picked up the Queen of the Ring crown for Randall Reedy of Michigan! The Ladies' National title went to CAST: Sensational Stacy Whiskey (MDL), who was managed to 499 points by Michael Eaves of Mississippi. COVEN: Curvaceous Carrie Westcott and Dynamic Dian Parkenson (LLL) secured the U.S. Tag-team championships for their manager, Michael D. Pepple of Massachusetts. The U.S. Six-woman champions were Æ: Erica Mayhem, Tricia Horror, and Becca Death (VVL), who are owned by Kevin Burr of Virginia. They had to use point flow to defeat their stablemates, Dominant Factors Beauty, Vanity, and Lust (MDL). CAST: Assassin Beasts Chaostreak and Destrux (ASL) were awarded $50,000 apiece for overpowering all other league tag-team champions last cycle! Their manager, Maurice Plante of Canada, can now decide if he wants an engraved plaque or 15 free matches. The top four pairs listed had a perfect team score of 516 points. Michael Drake of New York coached Æ: The Prophet and the Messiah (SGL) to these titles after formulating their 516-point team strategy. Both of his wrestlers received $20,000! Five teams ended in an unbreakable tie when battling for these titles. Linjamaniac #2 belongs to Kevin Lin of New Jersey, the Lunatic Lucca Brazzi is owned by John Durrani of Connecticut, and Thin Blue Line is under contract to Jonathan Akers of Texas. Scott K. Olson of Nevada manages the MRL trio. The Skyy was the limit for Mike Carver of Pennsylvania, and Keith A. Maple of Ohio threw a CAST party. Tony Pesante of New York claimed the last spot by having ALL of his ducks in a row. The top eight teams in the standings had 521 points. Only one team belonging to Sly Smith of West Virginia managed to take these $20,000 purses last cycle, but at least he didn't have to share them again. His wrestlers, Æ: Highway Patrols #1, #2, and #3 (PML), had a perfect 521-point team strategy! Going by the number of matches in each, the most active leagues for the Winter cycle are listed below. Managers in the New Blood League rallied, and were finally able to overtake the UWL, but the GRL is also posing a serious threat. Because their active wrestlers had the best average strategy total, managers in the Mid-Atlantic Region League can choose to take two matches for $1 next cycle instead of paying our regular prices! The NBL, BOL, and UWL each finished less than a point behind.